When a mother brought her one-month-old baby son to Margaret, a community health worker (CHW) in Uganda, Margaret was instantly concerned. As a CHW, Margaret is trained to diagnose and treat common childhood illnesses like malaria, pneumonia and diarrhea, and identify acute cases that require care from a health facility. The baby had a bad cough and an indrawn chest. He was also refusing to breastfeed. After her initial observations, Margaret’s training immediately kicked in. “I counted his breaths using the timer and decided the child needed to be admitted to the hospital, so I referred them. The hospital is far away, and I don’t think they would have gone if I hadn’t referred them,” she explained. Margaret’s story is one of teamwork. Every day, around the world, CHWs function as an integrated part of the health workforce that responds to their individual community’s health needs. This strategy has been supported as a best practice by the World Health Organization last year, when they launched the community health worker guidelines. It is clear that an effective, well-trained and well-stocked team of CHWs are often the bridge between families and clinics, and provide a critical link to essential health services for millions of families. 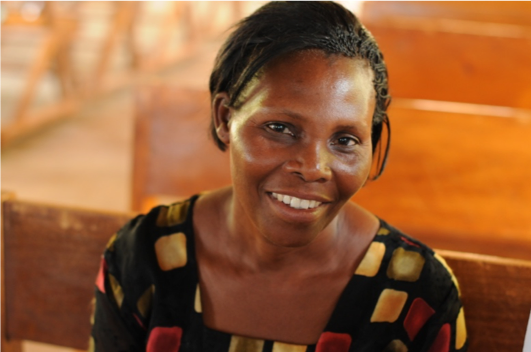 Margaret is a community health worker in Uganda. With training and support from Living Goods, Margaret diagnoses and treats common childhood illnesses. Evidence shows that community health programs are effective in the delivery of a range of preventive, promotional, and curative health care services and that they can contribute to reducing inequities in accessibility of care. These programs are critical for countries to achieve health for all and need to be included in both global and national policies for Universal Health Coverage. But CHWs can’t do it alone. Comprehensive health workforce teams, including nurses, midwives, doctors, pharmacists, and more, help to ensure that every patient receives the right type of treatment at the right time. Recognizing this, tools to decide on and provide referrals are an essential part of the digital support that Living Goods provides for CHWs. Digitally empowered CHWs have unique access to accurate and reliable data to facilitate difficult health decisions, something that CHWs are regularly confronted with in the field. And when a patient is unable to be diagnosed and treated on their doorstep, Living Goods-supported CHWs can easily refer cases to the appropriate health clinics and hospitals both near and far. To ensure referral capabilities are optimized and patient care is successfully coordinated between health teams, Living Goods is also piloting a completely digital referral process using the Smart Health app in Kisii County, Kenya to close the referral loop. 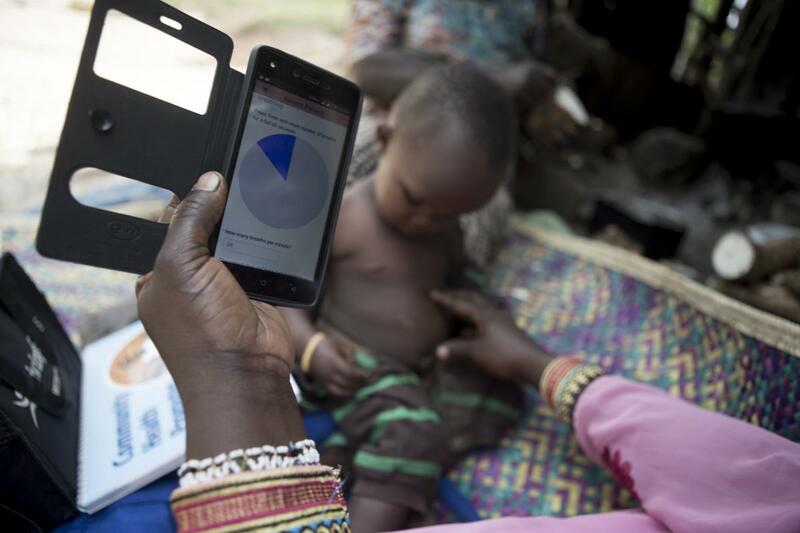 A CHW uses Living Goods’ Smart Health app to conduct a breathing test on a child in Uganda. Digitally empowered CHWs have unique access to accurate and reliable data to facilitate difficult health decisions. This World Health Worker Week, we celebrate all health workers. CHWs like Margaret, midwives, doctors, nurses and others on the frontlines, are key to extending the primary health care services that are necessary to achieve health for all.